Last year, I had the pleasure of meeting local designer Julia Farwell-Clay. 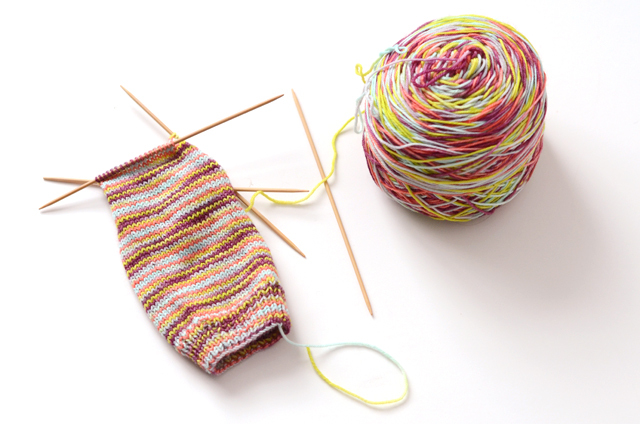 She immediately became one of my favorite knitty people, and today I'm so excited to be reviewing her new book, From Folly Cove. I am the last stop on the From Folly Cove book tour, so read on for a chance to win a free pattern! Julia has long admired The Folly Cove Designers, a group of women who worked together from the 1930s to 1968, hand-printing textiles in Gloucester, Massachusetts. This collection of patterns is inspired by this group, and features various garments and a few accessories. 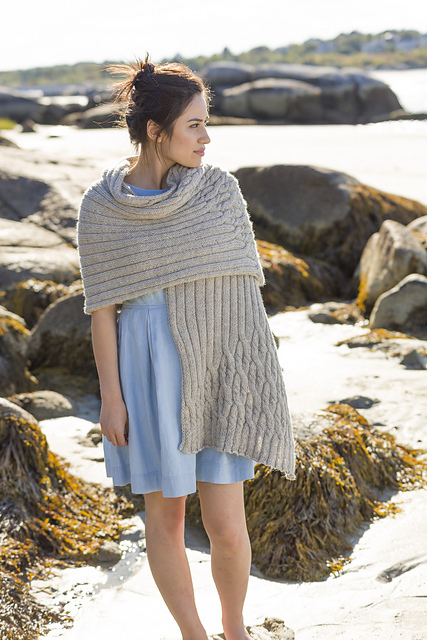 My favorite is the Cape Ann Stole, with its lovely cabled details. 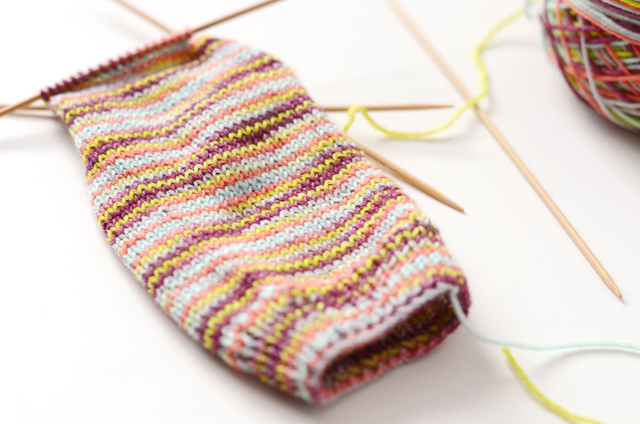 As part of the blog tour, I am giving away a free copy of one of Julia's patterns. The Natti Turtleneckis named after Lee Kingman Natti, one of The Folly Cove Designers and a children's book author. This cozy sweater features drop-shoulders with a delicate cable detail and pockets. The design calls for Inca Alpaca by Classic Elite Yarns. To enter the giveaway, check out the entire From Folly Cove collection on Ravelry and leave me a comment telling me your favorite pattern. I'll randomly pick a winner from the comments section and send you a gift copy of the Natti Turtleneck. Don't want to wait? The entire From Folly Cove collection is 10% off just this week. Enter code FFC10 when you check out on Ravelry. You can use the code for a single pattern or the entire book. 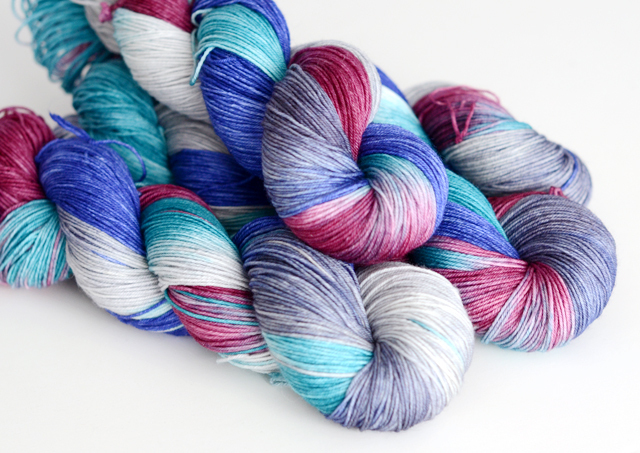 There's more: At the end of the week, check into the Classic Elite Blog for a chance to win yarn for the project of your choice from the book. The comments are now closed. The giveaway winner is Erica Smith! The fine print: I received a free copy of From Folly Cove for this review, but the views expressed herein are my own. I love this book and would not have participated in this blog tour otherwise. Images borrowed from Classic Elite Yarns. One of my favorite snow day activities is re-watching movies of questionable taste. 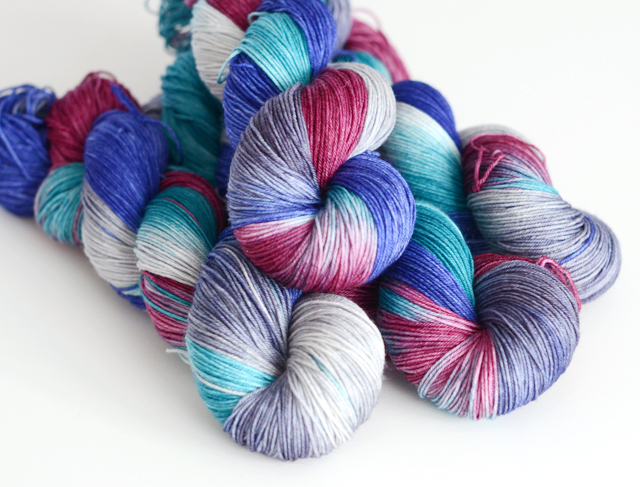 January's yarn club dye day coincided with some reminiscing about Dude, Where's My Car, and the January club color was born: Continuum Transfunctioner. The Continuum Transfunctioner, as we know, is a very mysterious device, and its mystery is exceeded only by its power. PS - Bummed to have missed out on this colorway? It will be available to the general public in April. We've gotten quite the generous share of snow here in Salem, with more coming tomorrow. I deal with blizzards by watching terrible movies and knitting colorful things. This blizzard's project? A new pair of fingerless mittens, knit in Fairy Queen Jubilee.